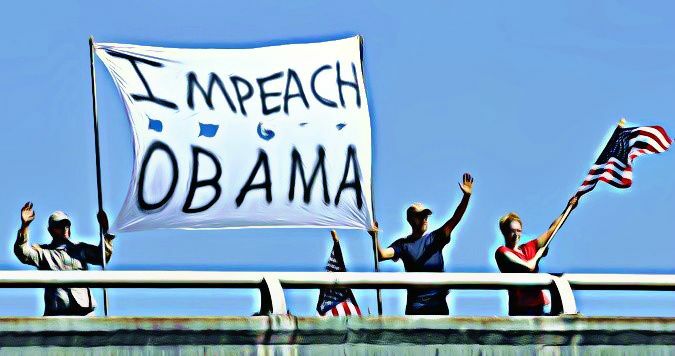 There has been a lot of bantering, pontificating and general bloviating on the right since the mid-term elections, and chief among the spewing of words has been the word “impeachment.” Every Tea Partier is foaming at the mouth, rabidly wanting to see the President removed from office in disgrace. Sorry to break it to you, but it is never going to happen. First, in order to remove the President of the United States through impeachment he or she must have committed an act of “Treason, Bribery, or other high Crimes and Misdemeanors,” as clearly outlined in Article II, Section 3 of the Constitution of the United States – a document the talking heads and politicians on the right would be well served to read from time-to-time. There are no provisions for removing the President because you do not like his policies, his party affiliation or the color of his skin. Black’s Law Dictionary defines “Treason” as, “attempting to overthrow the government of the state to which the offender owes allegiance; or of betraying the state into the hands of a foreign power.” The President has not attempted to overthrow the government, nor has he betrayed the country into the hands of a foreign power. Bribery is defined as, “The receiving or offering any undue reward by or to any person whomsoever, whose ordinary profession or business relates to the administration of public justice, in order to influence his behavior, and to incline him to act contrary to his duty and the known rules of honesty and integrity.” Gee, once again, the President has not committed any such offense. Black’s further defines “High crimes and misdemeanors” as being “such immoral and unlawful acts as are nearly allied and equal in guilt to felony, yet, owing to some technical circumstance, do not fall within that definition.” As much as the likes of Hannity, Limbaugh, etc., would like to claim, think and propose, the President has yet to commit any such crimes. So, besides the fact there is no “cause” for Republican Tea Party (GOTP) controlled Congress to attempt to remove the President, that will not stop them from trying to do so. There is just one small problem, while the House can “impeach” the President with a simple majority vote, Article I, Section 3 of the Constitution is very clear as to how many votes are needed to convict. Dream on Tea Partiers, your long sought for victory over President Obama will never come to pass because you and your minions lack the 2/3s majority needed to convict him of whatever trumped up charge the House deems to throw at him. In order to convict the President the GOTP would need 67 votes, meaning at least 14 Democrats would need to side with them, which is never going to happen. In short, do not waste the time and energy to try to impeach the President, you will be wasting millions of dollars and in the end, you will look incredibly stupid. Arpaio claims President’s Birth Certificate is a phony? Arch conservative, Republican Tea Party (GOTP) Maricopa County Sheriff Joe Arpaio’s planning to hold a news conference where he’ll no doubt prove beyond a shadow of a doubt just how delusional he really is; he’s claiming he’ll be releasing new findings from his ongoing investigation of President Obama’s birth certificate, which he believes is a forgery. Reportedly, in an interview with birther-friendly website World Net Daily, the so-called, self-proclaimed, “toughest sheriff” in America says he’ll be revealing new evidence he believes will prove that Obama’s birth certificate and Selective Service documentation are bigger fabrications than he is. Arpaio held a press conference last month where he unveiled his probe’s “initial findings” claiming there was probable cause to believe the President’s identification documents were forged. Arpaio’s no class act, this is the same guy who’s currently under federal investigation from the Department of Justice surrounding alleged racial profiling by his department; of course with the substantial resources of the Maricopa Sherriff’s Department we might expect that his next announcement will be that he knows who killed the Lindbergh baby, and where Amelia Earhart’s been the past 75 years. It’s probably nice to know the Sherriff’s most pressing issue is to continue down the rabbit hole of birtherism and that there’s nothing more important to be worried about in Maricopa. 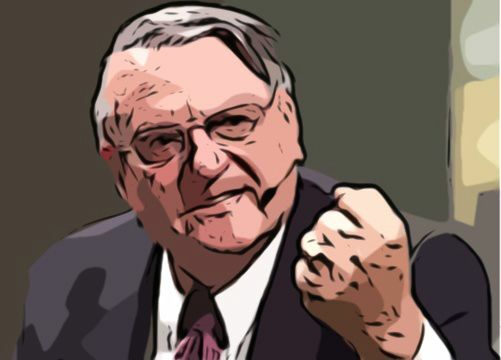 Regarding the President’s birth certificate being a phony; who else but Arpaio would be more capable of spotting a forgery, after all he’s been impersonating a law enforcement officer for quite some time now. Georgia State Republican Tea Party (GOTP) Representative Kip Smith, the same Kip Smith who wants all welfare recipients to be subject to drug tests, has a problem; he ran a red light early in the morning and he failed a field sobriety test. Kip, whose real name is John Andrew Smith, first told police he hadn’t been drinking. “I asked him again, and he stated he had consumed a single beer at Hal’s. I noticed also that Mr. Smith’s eyes were watery, and I asked him to exit the vehicle, which he did,” the arresting officer said in his report. Smith told the officer he’d had the beer 45 minutes earlier, and the officer asked him to blow into a hand-held “intoximeter”. The officer said the lawmaker refused, stating he would prefer to go to a clinic or the hospital to get tested. The officer said Smith finally agreed to blow into the device. The report stated that Smith blew a .091, which is above the legal limit of .08. So, not only is Smith obtuse, but he’s a liar too. Funny thing about all this is Smith’s one of those new GOTP types who’s a disciple of right-wing rhetoric and believes anyone on public assistance is a drug addict out to rip off society; of course recent studies in Florida aside which found less than 1% of those seeking public assistance failed drug testing. And because Smith’s an uber-conservative he’s also sponsoring Georgia House Bill 464, requiring “random drug testing” for citizens on public assistance. 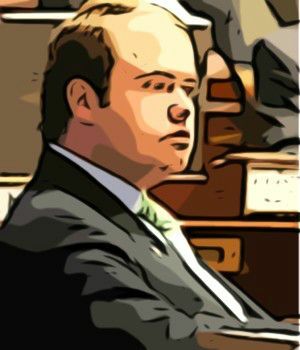 In response to Smith’s legislation, Democratic State Representative Scott Holcomb introduced a bill last month requiring all state lawmakers to be subject to random drug testing; perhaps there should also be a requirement for random breathalyzer testing as the Representatives drive into the state capitol parking area? Smith’s just your typical petulant, whiny, uber-conservative who believes laws are for everyone else but not for him; people needing help should be drug tested but GOTP politicians can drive around drunk behind the wheel – no biggy. Perhaps he’ll enjoy the mandatory drug testing that will be part of his probation? Giffords ‘makes me want to vomit’? 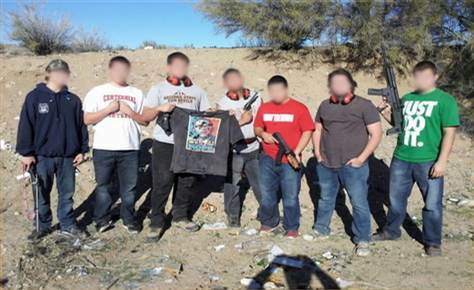 MSNBC is reporting that a former Marine whose wife of 54 years was killed last year in the Tucson shootings that left six dead and 13 injured, including Congresswoman Gabrielle Giffords, has strong feelings about the Arizona lawmaker and her retired astronaut husband, Mark Kelly. He said he and his wife had gone to Giffords’ town-hall meeting outside the grocery store in Tucson on 8 Jan 11, to complain to his congresswoman, who he says kept voting for liberal causes (go figure a Democrat voting for Liberal causes); but before he had a chance to whine, a gunman began shooting people in the crowd. Morris’ wife, Dorothy, 76, was killed in the rampage, and he was hit in the legs and back. Giffords was shot in the head. Reportedly, in the days following the shooting, Morris, a self-described “ultraconservative,” refused an invitation to have President Barack Obama visit him in his hospital room, according to the Arizona Republic. No, I believe it, Morris was an angry white whiny conservative before the shootings and he continues to be an angry white whiny conservative; big surprise. As a Marine (because in truth there are no former Marines) he should’ve been honored to have the President – his Commander in Chief – visit him in the hospital, it’s called respect and clearly Morris never learned that while he was in uniform; you respect the office, not the man, and Morris’ attitude speaks volumes about the kind of Marine he probably was, and the man he is today. Don’t care whatever he did as a Marine, his current words and attitude drowns it all out. I’ve little doubt as a self-described “ultraconservative” he undoubtedly supported then, and continues to support now the extremely “liberal” gun laws of Arizona which allowed a lunatic to buy weapons, clips and ammo he shouldn’t have been able to get and to ultimately murder his wife and five others. Morris, who had campaigned on behalf of Giffords’ opponent in the 2010 election, said he didn’t think Giffords should be in office then or now. He also said Giffords’ husband should’ve had better security in place to protect his wife, knowing she was a target of death threats, and reportedly blames the former astronaut for his wife’s death. Well, maybe she’d still be alive, but since the gunman was a crazed individual does Morris really think he wouldn’t have attacked as he did, or that somehow his wife wouldn’t have been shot anyway? Of course, then he’d probably argue there should’ve been more security; but exactly why would an officer in the United States Air Force have been responsible for providing security for his Congresswoman wife? If Morris had shown up and there’d been armed guards no doubt he’d have screamed about the Congresswoman being afraid to meet her constituents and called her a coward, or that she’d had her jackbooted thugs there to frighten people. Morris is a jackass and he’s a disgrace to the Marine Corps. No one’s responsible for his wife’s’ death except for the gunman, and perhaps the pervasive ever-escalating violent rhetoric from the right leading up to the attack. I’m deeply sorry for his loss, but he’s still an angry white whiney conservative jackass (which means a donkey – for conservatives reading this post). A Florida Republican congressman who likened Democrats’ opinion shaping to the efforts of Nazi propagandist Joseph Goebbels has lamely attempted defending his comments even as criticism has continued mounting..
Republican Tea Party (GOTP) Congressman Allen (Walter E. Kurtz) West from Florida made the Nazi reference a few weeks ago when asked about Congress’ approval ratings and the blame the public has apparently assigned to Republicans. “If Joseph Goebbels was around, he’d be very proud of the Democrat Party because they have an incredible propaganda machine,” West said, according to Politico, the Arlington, Va.-based news organization that first reported the comments. Goebbels was Adolf Hitler’s propaganda minister. West, who represents a South Florida district containing an influential Jewish constituency and a sizeable population of Holocaust survivors, told reporters, in his remarks at the Capitol, he was comparing Democrats to Nazi propaganda, not the Nazis themselves, but that did little to quell controversy. Ah yes, because comparing Democrats to Nazi propaganda was OK? West (Kurtz), defended his latest remarks, saying through a spokeswoman that twisting his comments was “a perfect example” of what he was talking about. “Congressman West was referring to the `lies, deception and manipulation’ coming from the Democrat propaganda machine and comparing that to the same misinformation coming from Goebbels during World War II,” spokeswoman Angela Sachitano said. 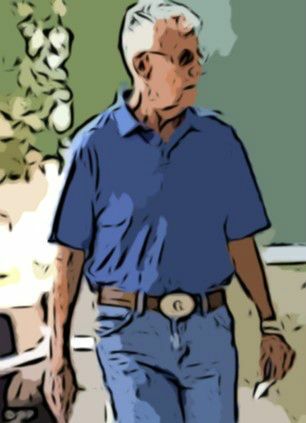 West is a loose cannon and a lunatic – he’s a frightened little man trying to make excuses as to why his – and the Tea Party’s – “popularity” is beginning to wane; hope he’s enjoyed his short stint in Congress; crazy is no longer in vogue. Waterboarding’s OK because it was in a movie? Republican Tea Party (GOTP) Congressional footnote Allen (Walter E. Kurtz) West is claiming waterboarding isn’t torture because he saw it in a movie? 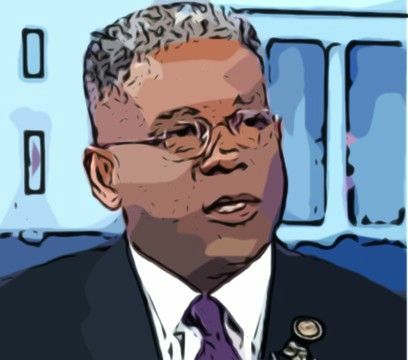 The former U.S. Army Colonel – who was forced to retire after discharging his weapon next to a prisoner’s head who he’d threatened to execute – made an appearance on FOX PAC & Friends, where he was introduced as “Congresswoman West” by brainiac co-host Brian Kilmeade. “Kurtz” was appearing to attempt to counter the President’s statement that waterboarding was torture. OK, so by that logic, if we find a witch in a town all we have to do is drop a house on her and we’re good? There are actually two things wrong with Congressman “Kurtz’s” statement, and I’ll use small words so everyone can get this; first, G.I. Jane’s a movie, which means she wasn’t really waterboarded; second, when our military personal are waterboarded in Survival, Escape, Resistance and Evasion training they know they’re not going to die so it’s not the same, they know the trainers can only go so far, that’s why it’s called “training”. 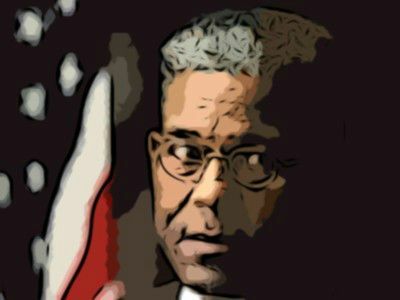 West is a lunatic; he was sent packing from the Army for mistreating prisoners and he’s the last person who should ever be called as a subject matter expert on what’s right and wrong concerning torture and interrogation of prisoners, but if you’re FOX PAC he’s the first on your speed dial.